للمسافرين الذين يرغبون أن يعيشوا كل ما تقدمه المدينة، Dunsborough Ridge Retreat هو الخيار الأمثل. يجذب هذا العقار ذو 4 نجوم، والذي يبعد فقط عن وسط المدينة و عن المطار، الكثير من الزوار سنوياً. كما يمكن الوصول بسهولة إلى عدة معالم سياحية قريبة. يقدم Dunsborough Ridge Retreat خدمات لا غبار عليها وكل أشكال اللياقة وحسن الضيافة اللازمة لإسعاد ضيوفه. يقدم الفندق فرصة للاستمتاع بشريحة واسعة من الخدمات بما فيها: واي فاي مجاني في جميع الغرف, واي فاي في المناطق العامة, صف السيارات, مرافق للشواء, انتظار السيارات - متاح في الفندق . في Dunsborough Ridge Retreat غرف نوم يزيد عددها عن 4 صممت بذوق وعناية لتوفر لك كل وسائل الراحة . بعضها يحتوي أيضاً على تلفزيون بشاشة مسطحة, قهوة فورية مجانية, شاي مجاني, بطانية كهربائية, بياضات. يمكنك طلب اللائحة الكاملة للخدمات في الفندق ومن بينها مسارات المشي, حمام سباحة خارجي, حديقة. يحظى فندق Dunsborough Ridge Retreat بموقع ممتاز وخدمات يصعب منافستها. Fabolous location with owners on the property neans that you get the best bang for your buck! Thank you so much for your review Lambertus - it's great to now be able to have the ability to respond through Agoda and thank you for taking the time to share your feedback. Great that you enjoyed your stay and the opportunity to relax and recharge. We look forward to welcoming you back in the future. The peace and quiet, the chirping of the birds, Albi the hosts gorgeous friendly dog who visited everyday. Accommodation spotless, spacious and well equipped. Lovely pool area. Can't wait to return. Thank you so much for taking the time to provide your lovely review of your stay Angela. It is wonderful to now be able to respond and thank you via Agoda. Wonderful to hear that you had a peaceful stay - and that you enjoyed the special visits from our youngest furkid! We look forward to welcoming you when you are able to return! Lovely break away from it all. Beautiful peaceful location with a warm welcome. Many thanks for taking the time to share your review Allison. Great to hear that you had a wonderful break and enjoyed this special location! 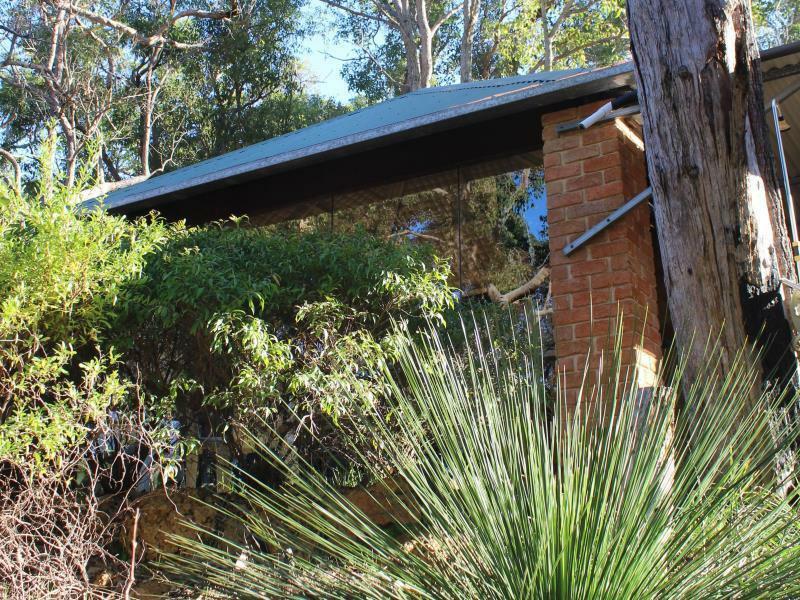 Great bush location yet close to Dunsborough - with very friendly wildlife. The attention to detail in the chalets made for a very pleasant stay. The owners are very friendly and helpful. Overall, a wonderful place to recharge your batteries! Many thanks for your wonderful feedback - and wonderful to hear it was just the place to recharge! Only stayed for one night but the location was awesome, nice and quiet but still close to town. Service was wonderful and the owner couldn't do enough for us. I will stay here again. Great bush location, pool looked great although it was too cold to use it. equiped to do your own cooking if you want. Super friendly hosts, very accommodating and helpful. The peace and quiet, the comfort, and the location. Fantastic, from the moment my mate and I arrived we were greeted by the friendly and extremely helpful staff who told us all about dunsborough and surrounding areas. Highly recommended to anybody who wants to forget about the outside world for a few days. 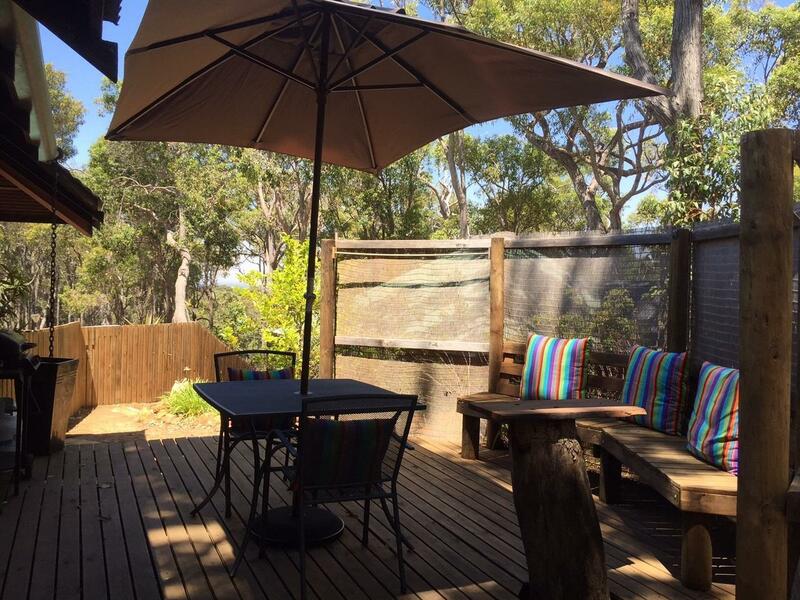 I would highly recommend Dunsborough Ridge Retreat for a weekend getaway for couples or anyone with pets. The setting was beautiful and private amongst the trees and the owners made us feel very welcome. It was just far out enough of town for peace and quiet while being able to make a quick trip in for dinner. We started each morning with a walk through the bush and loved how the cabin morphed into the environment. Will definitely be going back. Location, comfort and friendly owners. 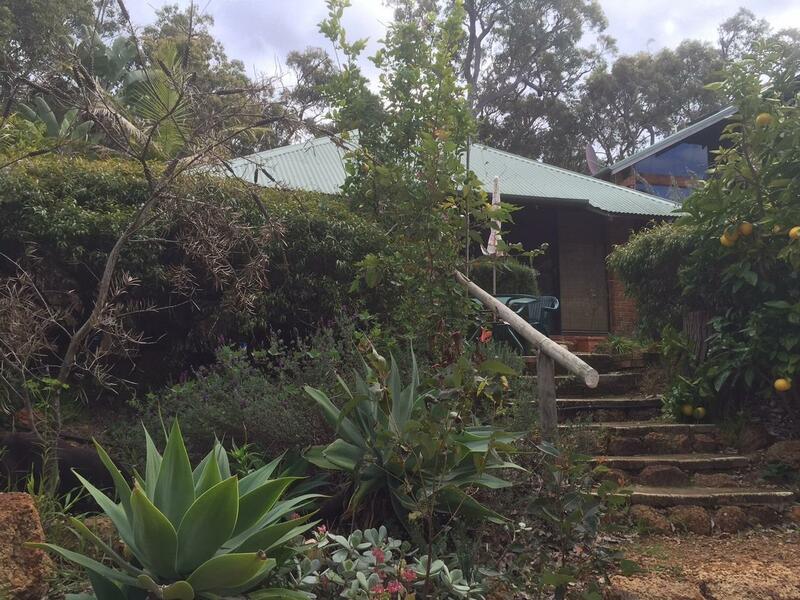 Very relaxing and located near to town but set in the bush. We spent a weekend here and thoroughly enjoyed waking up in what felt like a million miles from nowhere. Kelly was lovely & so helpful, sending us a text prior to arrival to notify us of a power outage. I would thoroughly recommend staying here if you were looking for some peace & quiet. We really enjoyed a lovely stay in our well appointed room. A few things need improving but the hosts gladly took our feedback and we expect our next visit will be even better. We stayed for a weekend recently and will definitely return. 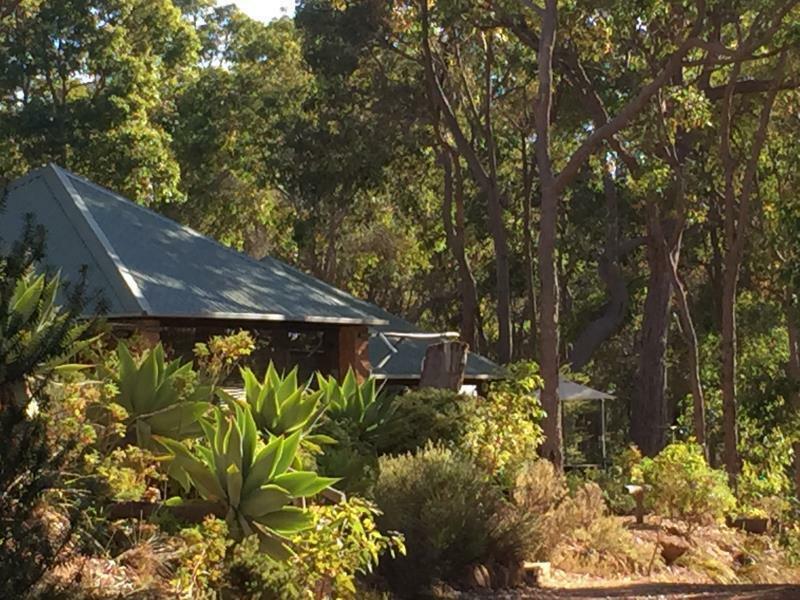 The Dunsborough Ridge Retreat is a short drive out of Dunsborough and is set among the trees with views out towards the bay. The villas have mainly glass walls so you feel as though you are completely immersed in the setting. The kitchen was well set up for basic self catering. The owners were welcoming and very accomodating. A great spot for a couples weekend away. Great, relaxing time more than what I expected with it being the Christmas break. Food was Self catering so no rating applicable. Our stay at the Dunsborough Ridge Retreat was a relaxing one, despite the weather being a bit so-so. Nestled amongst the mighty Karri trees, it is impossible not to relax in peace and quiet taking in all the smells and sounds of the bush and its inhabitants. The infinity pool was nice even if it is shared by all the four villas. The sense of privacy is also very good, the only minor negatives being the back-to-back bathroom with the adjacent villa where you can hear your neighbours as the wall between them is not fully enclosed up the top of the wall. The curtains weren't fully covering either albeit we found that as a lesser of an issue. A set of cheap curtains would do the job just fine. Otherwise, the staff were very nice and helpful and made you feel very welcome. All in all, I am happy to recommend this hideaway unless you are a total snob. Lets face it, the location is great and the beaches of Yallingup and Geographe Bay are all very close, let alone dozens of wineries so how could you possibly go wrong here?! Recommended. View of the trees and surrounded by bush, shower and location. We have made a few changes and the owners are very accommodating. We requested a later check out and Aimee and Kevin told me that it is available just the day before we arrive. We were greeted by the lovely owner when we arrive, got shown the villa around with the small dipping pool just right outside our villa's window (we stayed at the Wildwood Villa). For those of you who may need more privacy, you could stay at the other 3 villas which is not directly down their house. However, we did not mind that at all! We get to do BBQ and stay in for the night. The villa is definitely self equipped, anything you would need when you want a quiet getaway. It is quite tucked away but this is the reason why we choose this place, because we want to have a quiet hideaway! The check in and out was quick and easy, we basically had a great weekend away at the Dunsborough Ridge Retreat and I am sure we will be back soon! Thank you Aimee and Kevin for having us! It was perfect for that quiet getaway. It is close to Dunsborough and surrounding areas. The new owners and staff were friendly and helpful. I would recommend The Glass Lodge to people that want that peaceful but lovely stay. I would absolutely stay here again.